With 8.1 bringing some much needed changes to the OS, now is a great time to switch to the new Windows. Thanks and count me in. sign me up, please! thanks! Thanks for the Giveaway… Count me in.. Outstanding giveaway; thank you! Please allow me to enter the contest. Winning the Widows 8 key would allow me to move to the cutting edge of Win OS. Great! Good luck to all! Windows 8 is a good choice and there comes new 8.1! Excellent, thanks! Thanks for the giveaway, I’ve already subscribed to your mailing list and it would be awesome to grab a free windows 8 license key. I’m currently using windows 7 and would be very happy to upgrade it for free. Thanks again, cheers. Thanks mate for providing such a wonderful giveaway ! A lot of people complain about Windows 8 but after a few days of work on it even is not so bad. Modern UI interface in my case it is useful in many situations, such as when I need to quickly access the Internet and make a transfer. Thanks for this great GA! Please count me in!!! Cool. Thank you for the key. I like Windows 8. Even works well on older hardware. This is the ‘multilanguage’ or English only version? Windows 8 Pro its awesome! Count me in, please. Thanks. Wow, nice giveaway. Count me. Fabuleux giveaway, avec beaucoup de chance je gagnerai ce cadeau. I want this! thank u! Sure can use this deal-count me in please!!!! Thank you very much for the newest OS and all the best for you. thank you so much for this wonderful giveaway! Count me in please. Thanks in advance. I’d love to win Windows 8 Pro. Please count me in this drawing. Once you get used to it, Windows 8 is quite a useable Operating System. Having the Pro version would be great. Thanks for the chance to win. I’d really like to use Windows 8, but have absolutely no means of acquiring the funds necessary to purchase it. It,s great to install Windows 8 Pro in a VHD. thanks for this great giveaway.regards. i would very much like a copy of windows 8.
wow amazing giveaway. but just 1 key? or aplicable on 2 PC ? Great giveaway. Windows 8 is not so bad count me in pls. Thanks for this great giveaway! count me in. Hallo nice giveaway thank you very much. count me in please! Wonderful giveaway! Count me in, please. Count me in and thank you for the giveaway! Thanks! great giveaway! count me in please! Thanks appfound! Wonderful giveaway. Would be great to try the new Windows 8 OS. very nice giveaway.count me in please . Am using Windows 8 now,would enjoy upgrading to Pro,thank you for the chance to win a license! Want to try it. Maybe W8 is good. This is a great giveaway and I hope be distinguished with one in order to get complete my Windows collection that begins with Windows 3.0, Thanks. OS giveaway!? Are you kidding me!? Definitely don’t want to miss this one! Would love to win a copy of Win 8. Thanks Appfound. If I win I’ll put this on my laptop. Great giveaway. I hope to win or at least I hope it will win it somebody who really really really needs it. Win8 Pro is great operating system. Took a while to get use to. Nice! Count me in please! Great software, Thanks for the giveaway. would love to have it. not used it yet, but would like too. Thanks a lot for this Giveaway. Thanks for the opportunity with that giveaway !! win8 is the Best of The Best !!!! Thanks for the great giveaway! Count me in. count me in, thanks a lot. Count me in please. Thanks ! Please count me in too. Thanks for contest. Please count me in. thanks hoping be lucky one! Thanks for latest MS OS.Please count me in. I want to use Windows 8 to enjoy the Modern UI Style and other features! Thank you so much!! Windows 8 is the simplest and the most modern system operation I’ve ever known. Please send me a Windows 8 key!!!! Read about Windows 8, but currently using Window 7 on my laptop. With the updates coming for Windows 8, I would love to win this. Thanks for this nice giveaway. Thank You so much Dude for this Giveaway. I wish to be the Lucky Winner! I am testing out on a Windows 8 (64bit) trial version. It has a new interface unlike the older version of Windows. I have been also testing most of my fav programs from my Windows Xp and Win 7 in this new environment. Windows 8 runs faster and I hope to have the Lic key. Please count me in for this giveaway. Thank you and have a nice day. A dream come true :). This is what I’ve been longing to have for months… Please please include me in this. Thanks for the opportunity. Greetings. I will be delighted if I win this prize. Thanks appfound for such a wonderful giveaway. APPFOUND…thanks for the chance to get one……. This could be a lucky day for me. I hope to win this big One. Please count me in. Thanks you! I like to try ! I am an about to retire consultant. This would boost my ego as I visit my clients. Pls. count me in !!!!!!!!!!!!!!!! Wish to keep in “touch” with Win-8. So, please, count me in your contest. I hope I win this. Will I really win this time? This is one of the best giveaway ever and I would like to win it. O, it very nice. New version win are very cool! one of the best giveaway from appfound.com. pl count me in. thanks. It’s great Giveaway! Count me in please! This has got to be one of the best giveaways of the year. Thanks to appfound. Praying to get one :). You got to be kidding me. 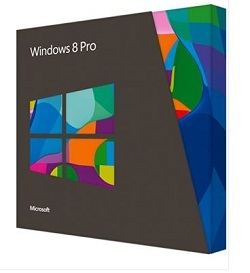 Windows 8 pro license giveaway :). Wow… This is just too good to believe :). Windows 8 definitely must have for us to increase our productivity. So please give me one of the key so i can use it to upgrade my result. Great suggestion. Count me in please. Windows 8 Pro original !! I want !! I would love to have Windows 8, please count me in. Everything new feels different. Lets see what happens to it in the end. Awesome prize for this drawing!! Keep up the great work!! I guess that I need to try it, so that I can help others with it when they have problems…. Why only key? And where then to take the distribution kit? Very much it would be desirable to have legal Windows, our Ukraine and so name as the most “piracy” country in the world. mógłby to być Windows 8 , nie pogniewałbym się. Thanx for this giveaway! I like it and I hope I’ll win! Thanks for this giveaway. Please count me in. Thanks on great giveaway and please count me in. well we have to keep on going forward and it seems windows 8 is not a bad option like some people said when he came out! has more features more fast and more secure that is what i have seen in internet! excelent giveaway god luck to all and thank you for this excellent chance! Thank you for this giveaway. Please count me in. wow hi great site and thanks for the giveaway! great giveaway! Thanks. count me please. 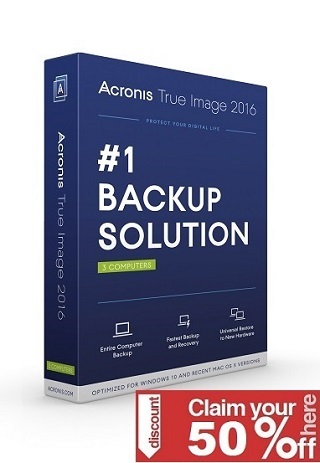 I have tried this OS on a friends computer and it is terrific. I’d really love too have it on my computer! Please enter me in the contest. Please, count me in. Thanks. Thank you for the kind offer. Thank you AppFound for this fantastic giveaway. It’s really a good OS! Great giveaway! thanks to count me in. Thanks for this Awesome Giveaway ! Please count me in the draw too. Is Windows 8 better than windows 7. People say : its nice. Thank you for the giveaway, hope I win a license for my favorite operating system. Thank you very much for this giveaway. I’d love to get a copy. Thank you so much for offering this great giveaway! I never win anything, so hopefully this will be my lucky entry. 🙂 :). this has got to be one of the best giveaways of the year :). Really can’t believe it. Would love to have one. Please count me in. Thank you very much for this Giveaway!!! Another great giveaway. Thank you for another opportunity! Hi I would like to bet a chance for giveaway,a fantastic OS ,pls count me in. Thanks for this offer! Count me in! I like Windows 8 ! Thanks! Great giveaway and I really hope win this time! Great give away, good luck all!!! Thank you, count me in. Thanks you so much for the wonderful giveaway. Thanks for this great contest, I have XP Pro and I’d like upgrade to Windows 8 Pro, please count me in. Just what my new computer needs. Thanx for the great giveaway! Hope to get this one! Good program. Count me in. Count me in and thanks! thank you so much for this giveaway. Nice software! Thanks! Count me in please! Great giveaway, count me in please. Very good soft, please count me in. Very good software, please count me in. thanks much for the fab giveaway! Very good giveaway. Please count me in. Thanks. Count me in please. Thank you. Really thanks, hoping to become a winner. Thanks so much for the generous giveaway!!! I would love to be the winner, you guys rock!! all of them want to win. It´s me, too. Thank you for this giveaway. Win 8 is fantastic & I hope to win it. Count me in.Thanks for the giveaway. With windows 8.1due soon to make windows 8 hopefully worthwhile, I’d be delighted to be able to win this awesome giveaway. Count me in please. Thanks to giveaway, great software! Thanks for the nice contest. Please count me in. Very good. Thanks. Please count me in. Nice giveaway! Count me in! 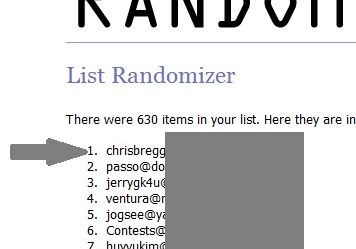 Thanks for giveaway.Please count me in. Thank you for this great giveaway.Please count me in. I have the upgrage of win 8 and love it,but would love to win the the full version. Thanks for this nice giveaway, hope I could win it. Good luck to all. This would be helpful for me. Nice giveaway,Windows 8 is faster much more stronger than win7 & attractive new interface. Have to upgrade to 8 sometime and a freebie would be the easiest way. Excellent Giveaway!!!! Awesome OS….. Sincerely hoping to win it!!!! What a gift!! this is serious!! Nice one. Please count me in. Thank you very much AppFound for this very good giveaway. Great giveaway.I wait for this. Great Choice! Count me in! Thank you very much for this giveaway! Please count me in. Count me in.. Considering 8.1 will probably be a free upgrade. Thanks ans shared independence days to all our wordly Brother and Sisters!! wonderful sharing. I really need Windows 8. One of the best giveaways! Thank you. I like Windows 8, it is a very good OS. Thank you. Thanks for this giveaway, I like Windows, even the 8 one. Count me in. Please count me in, and THANK YOU! Assuming I can upgrade to Win 8.1 (at least at a discount?) makes this a good step up from Vista! Please count me in this fantastic contest. Great software OS. Please count me in. Thank You. Please count me in! I really need this….. Thanks for the giveaway, tried the previews and really enjoyed them. Well, many thanks for this very great giveaway. Thanks. I could use the upgrade!! you are really fabulous… such a wonderful thing u r doing.. Thanks for latest excellent OS.Please count me in. Win8 Pro is a beautiful giveaway. Thank you App Found. …I like to win it. Greate offer. Please add me in. Another great giveaway.Count me in too.Thanks a lot. Awesome giveaway.Please count me in.Tnx. Great software.Please count me in, thanks! Great giveaway! Thanks and count me in! Good software! Count me in plz.Thank you! Excellent giveaway, plz count me in.Thx! I need to install in order to enjoy the PRO version Win 8. Great and secure system. Please add me in. Great OS.Count me in. Thanks! impossible to resist to one free licence of windows 8! Yes, count me in, keep the great offers rolling! Thanks … Please count me in ! Much needed giveaway. Living on a very small disability income so I can’t afford to upgrade to Win 8 myself. I hope and pray I win. Great giveaway ! Great site ! Great giveaway, count me in, please! wrong! Count me in, Thanks! Thanks for the Giveaway! Looks like a good operating system! Please Count Me in. Have had the opportunity to test out Win 8.1 and really like it. could use a second license for a VM. thanks! nice shot. ¡¡¡ W8 lo quiero!!! Like to give it a try; thanks! Thanks even if I don’t qualify! never win ,maybe this time? Count me on this great giveaway. Please enter me for this great contest to win a fabulous prize.Thanks Appfound! I would like to win this. Thanks! With 8.1 coming up this would be great to win, count me in!! many many thanks for this great giveaway. please count me in on the draw. I would like to try window 8.Thanks. I take my chance ! Great giveaway! Thanks and count me in! Using Windows 7, but would be great to win Windows 8 and ‘test drive’ it. Great giveaway guys, keep up the good work. Cool Mate. Please count me in. Very nice giveaway! Please count me in. Count me in. Thanks for Giveaway !! Waiting for a long time for this giveaway. Trying my luck. Hope I shall be the winner this time..
Lớn OS.Count tôi vào Cảm ơn! Please Where is the winner name??? Right. Good luck to everyone. Thanks. Please count me in too..
Count me in too Dear Sir..
Yeah! I need this giveaway! Good luck to everyone. Windows 8 is very good OS today because it is work on touch nicely and normal use also . WOW 2 Thumbs way up for this.